The London E8 postcode has a history of being downtrodden and crime-ridden, but fortunately it has now flourished into one of the most cultural and stylish postcodes within the city. 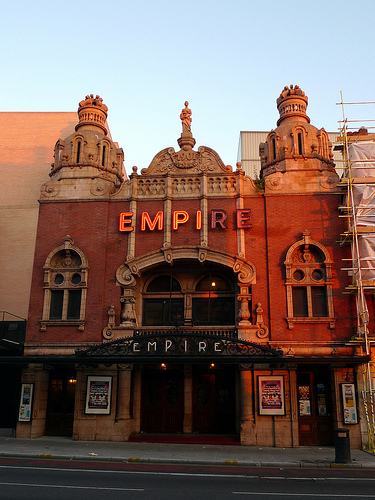 The E8 postcode incorporates the Dalston, Hackney Central and London Fields boroughs, with a range of spectacular properties and attractions including the Arcola Theatre, Hackney Empire music hall and the Broadway Market. Over the last 200 years the E8 postcode has undergone a drastic aesthetic change with Hackney in particular seeing a number of alterations. The area originated from a Saxon settlement and remained fairly unchanged while under Roman rule; it wasn’t until the Tudor period that the village became a more substantial residential and commercial area. Today there’s little to remind you that Hackney used to be a Tudor village except for the St Augustine’s Tower	which is now Hackney Central’s oldest building. The E8 area continued to change throughout the Georgian and Victorian periods; in 1792 the Church of St John-at-Hackney was built and is still standing today, even after numerous restorations and rebuilds! The area continued to grow and the population moved from suburban cottages and houses to a more urban style of terraced housing. Railways were eventually built along with trams and the first roads. Unfortunately due to Hackney’s continued industrialisation, the amount of public open space gradually diminished and todaySt Johns Gardens, Stonebridge Gardens and Clapton Square	are all that remain. Much like Hackney, the Dalston area rapidly moved from an agricultural and rural landscape to an industrialised urban one. Dalston has more recently undergone significant redevelopment thanks to the London 2012 Olympics. This rapid redevelopment has seen property prices increase dramatically and transport links improve throughout the E8 area. The London E8 post code is fairly close to the bustling centre of London and its excellent transport links makes it one of the most accessible places to live. The properties range from a mix of Edwardian and Victorian terraced houses to modernised flats and estates. E8 also contains the highest concentration of artists within London. They’ve flocked to the E8 area due to the high quantity of art galleries situated throughout the East End of London. E8 also features a thriving cultural mix, with over 100 languages spoken. If you’re a young hip student looking for a place to live in London, then E8 should unquestionably be high on your list of potential locations! The area also contains a wide range of pubs, clubs and restaurants for you to explore and discover. The diversity of each facility helps to sustain the sense of community that has built up within the E8 area over the years. Within in the E8 post code also lies London Fields, a 31 acre park which includes a cricket pitch, grassy area, tennis courts, small BMX parks and the only heated outdoor 50 metre swimming pool in London, which is called Lido! If shopping is more your thing then you can easily explore the Ridley Road Market	which sells a range of fruit and vegetables. There is also the Broadway Market, Netil Market and Kingsland Shopping Centre to discover at your leisure. E8’s great transport links mean you can easily get to Oxford Street if you’re looking to pick up some designer products or delve into the hustle and bustle of city life. E8 is well serviced by strong transportation links, Hackney was itself voted one of the top ten boroughs in the UK for transport connections. The centre of London is only 10 minutes away from the centre of Hackney by train and the E8 area is serviced by Overland stations like the London Fields, Dalston Kingsland and Dalston Junction.and Underground stations like Haggerston and Hackney Central which are in close proximity of the Victoria and Central lines. Regular bus services also run 24/7and there’s a variety of scenic walking routes which you can leisurely stroll through. The majority of properties in the E8 postcode area consist of beautiful Edwardian and Victorian style terraced houses but also contains more modern developments such as flats and studio apartments. E8 used to be known for high rise tower blocks but the area has slowly moved from tower blocks to smaller and smarter developments due to the ever expanding population of young professionals. The area’s diverse population and mix of cultures make it the perfect place for anyone looking for a fast paced lifestyle. Whether you’re a student, business manager or art enthusiast, the E8 post code will easily compliment your outgoing and proactive life choices. If the E8 postcode area has tickled your fancy then why not check out the range of E8 properties available within our featured developments	section. At base we love to assist potential new London property owners and tenants, we always go the extra mile to make sure you get the service you require. Our first-rate knowledge and experience as a London letting and estate agent means you can rely on us to provide you with honest and professional advice. Whether you’re looking to rent	or buy accommodation in the E8 area, makecontacting us	your first step onto the London property ladder.